We have an amazing group of Park Kids teachers who are devoted to training children to love God with their whole hearts. They are committed to supporting each child’s parent(s) and their efforts to build a spiritual foundation that hopefully will lead, in God’s timing, to a relationship with Him through Jesus Christ. Park Kids teachers strive to make Sunday lessons active and creative. They follow a curriculum that teaches children the stories of the Bible. Each lesson consists of components that enable them to use drama, games, music, videos, and discussion to teach children effectively. All of the lessons are scripturally based and proceed through the Bible. 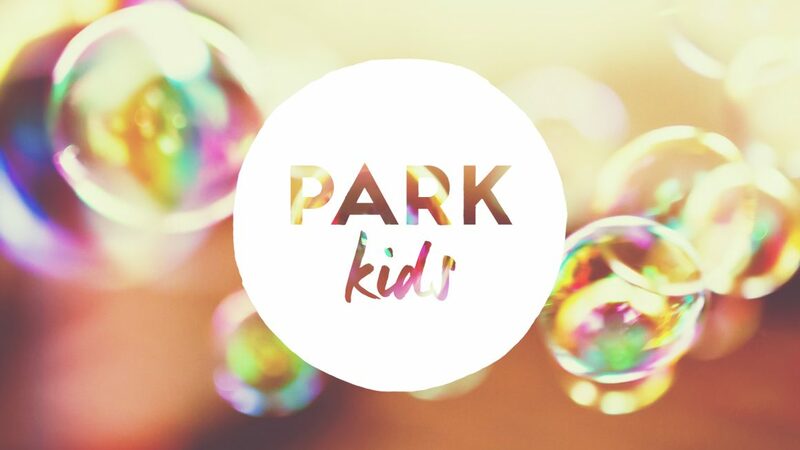 Park encourages parents to incorporate the children’s church lessons in their home and daily lives. We are so glad to meet you! Please visit the Check-in desk to register your children and pick up a welcome goodie bag. There will be someone there to direct you to the right classroom and answer any questions you may have. There are welcome brochures at the Welcome Desk and Park Kids policy booklets for you to take as well. For the saftey of our children, we have a computer check in system at Park Kids. It is located right outside the entrance to the Park Kids common area. Before taking your child to class, please stop by the Park Kids Check-in desk each week to pick up your child’s label and parent pick up slip. Tell the check-in person your last name and the ages/grades of your children. Younger children receive 2 labels, one for the teacher and one for thier back as a nametag. You will bring the labels and your child to class and give the labels to the teacher. You hold on to your matching parent label to be used at pick-up. Children Elementary and up will be brought back to the sanctuary after the sermon to sit with their parents for communion. Preschool and under children should be picked up immediately after communion. Don’t forget your parent label for your younger children to be picked up. At Park Church, we perform child dedications for babies and young children and baptisms for those who have decided to follow Christ. At both the 9:00AM and the 10:45AM services, we have a nursery set up for kids who are between the ages of 6 months and 2 years. You can drop your child off at the nursery whenever you want, but the best time is before the service begins. If there are any special needs, please tell the nursery staff anything that they might need to know. There are hooks and labels for diaper bags. Because of allergies, please no food in the nursery. The caregivers are happy to change diapers. There are changing tables located in the nursery and both the men’s and women’s restroom should you need to change your baby’s diaper. For nursing mothers, you are welcome to stay in the nursery or nurse anywhere in the building you feel comfortable. The sermon is piped into the lobbies and cafe area as well. There are 6 separate classes that run for ages 2 years through 8th grade at the 9:00AM service and 3 separate classes that run for ages 2 years through 5th grade at the 10:45AM service. These classes are led by volunteers and parents from the community. All of our volunteers, parent-volunteers, and caregivers have completed a child protection policy, and lead-teachers and caregivers complete fingerprinting. I Want My Child Dedicated at Park Church! Fill out this form to begin the process of having your child/children dedicated at Park Church. A staff member will get in touch with you to follow up. After the required information, fill out as much as you prefer. Typically, Park Church does child dedications 3-4 times per year.